After spending 340 days on the International Space Station (ISS) in 2015 and 2016, astronaut Scott Kelly might have actually gotten younger. Kelly, who has an identical twin brother (and a retired astronaut) Mark, was a guinea pig of sorts during his time in space. Scientists used this rare opportunity to study the two brothers: one in space, and one back on earth. What they found was a shock. Telomeres reside at the ends of each chromosome and aid in the repair of damaged DNA. Throughout your life, telomeres fluctuate in length, but as we age they always get shorter. Scott’s actually reverse course and grew while in space. “That is exactly the opposite of what we thought,” radiation biologist Susan Bailey told Nature. Due to the increased exposure to radiation, the expected result was that telomeres would have decreased in size at a more rapid rate than on earth. Scientists are quick to point out that the effect might have been less about being in space and more about a reduced caloric load and increase in physical activity while on board, but for now they still can’t be sure. 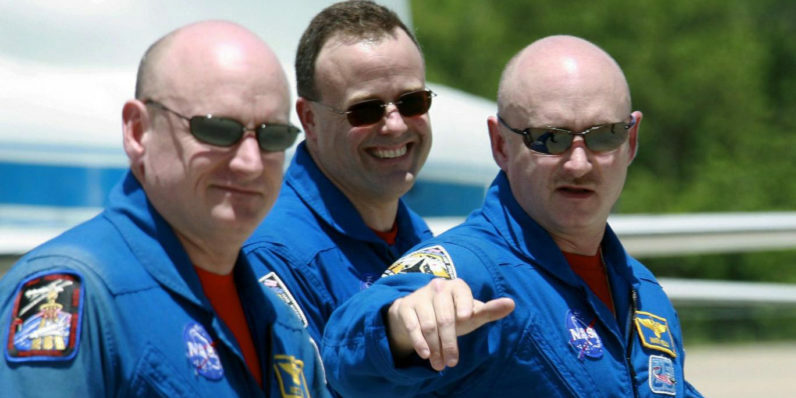 Now back on Earth, Scott Kelly’s telomeres are again beginning to shorten.